Zipline is a California startup that launched the world’s first national drone delivery service in 2016, carrying blood and medical supplies throughout Rwanda. With 75% of Rwanda’s roads unpaved and even washed out during the rainy season, the Rwandan government has embraced drone technology as a way to dispatch vital deliveries. Drones have the technological capacity to cover the entire country, meaning hospitals and health facilities have instant access to previously out of reach medical supplies. Through an app, doctors place an order and the medical supplies are then delivered from the sky approximately 30 minutes later. 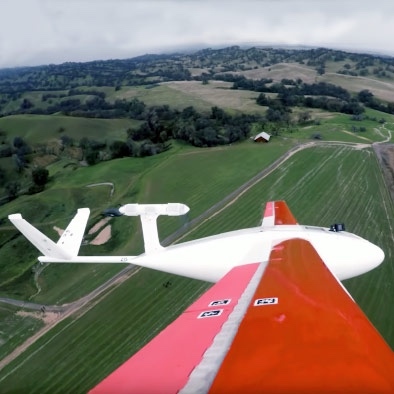 What was once a five-hour round-trip drive from many hospitals has been reduced to 30 minutes using drones. AERIAL FUTURES spoke with Jack Ndahiro, Flight Operations Engineer with Zipline’s Rwanda team, about the impact of drone technology on communities throughout the country. AER: How are companies like Zipline change public perception of drones? ZIP: People have this understanding about drones as exclusively for military purposes. 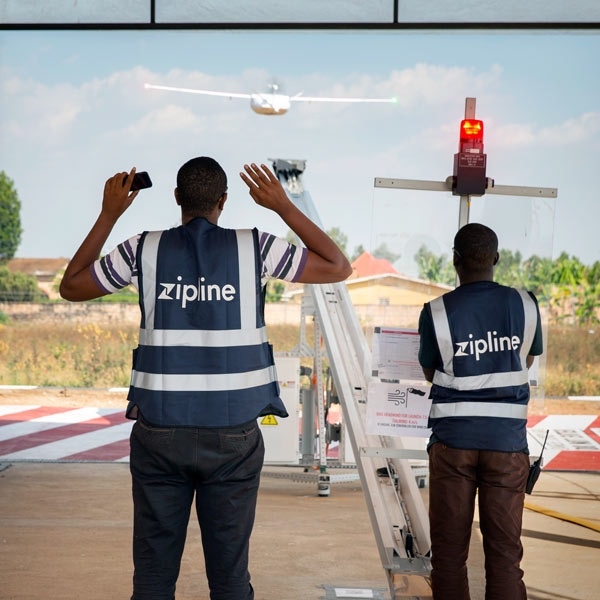 The mission of Zipline is to save lives and serve the community and with the company’s rapid growth here in Rwanda, people are beginning to see drones as something that can go beyond military service and benefit the greater good. Zipline is benefiting communities by saving time and lives with medical product delivery. Furthermore, Zipline is transforming healthcare accessibility in rural areas that, until very recently, did not have access to life-saving medicine. As the first country to truly embrace drone technology, we have people from all over the world coming here to see the amazing things we are doing on site. AER: What impact are you hoping that Zipline has? ZIP: One of the pillars for Rwanda’s road ahead is Vision 2020, a government development programed launched in 2000 by President Paul Kagame. The main objective of Vision 2020 is to make Rwanda united and democratic by reducing poverty and health problems, turning the country into a knowledge-based middle-income country. This is the type of work Zipline is both undertaking and advocating for. Zipline helps customers or patients get the product they want or medicine they need on time. In rural areas, this is crucial to improve maternal health, as well as supporting as the healthcare system in general. At the moment, Zipline is a crucial component of Vision 2020. AER: How do you see Zipline and other African tech companies driving innovation on their own terms? ZIP: Most Western countries think that amazing technology cannot start in Africa, but they are wrong! African economies are now rising in this sector. In fact, Zipline proved to the rest of the world that this type of technology can indeed start in Africa, in a tiny, developing country like Rwanda. Rwanda is embracing a lot of innovative technologies: we have the drones, and we have satellite coming in 2020, ensuring that we are the technology hub of Africa. The work we are doing is not exclusively for Rwanda; it will also influence the economies and development of other East African countries. AER: Outside the work Zipline is doing, using technology for healthcare, there are myriad opportunities for companies to start doing similar things — not just with blood, but also other kinds of products. What kind of education do people need to break into this sector, and what kind of job opportunities do these kinds of companies offer young East Africans? ZIP: Great question! Speaking of education, Zipline has training institutes that help young professionals learn more about the use of drones. For example, we engage with the schools here in Rwanda by inviting them into the distribution center, providing them with information about how drones work, stirring up excitement on Zipline operations. For those interested in contributing more to our operations, Zipline provides an academic internship. Additionally, Zipline distribution centers are owned by Rwandan people. In them, we manage both data and routine operations, covering items like maintenance, communicating with hospitals, and working with stakeholders. By learning these talents and abilities in Rwanda, Zipline is doing its part to reduce brain drain and keep talent close to home.